Introducing Beautiful Vinyl Siding That Performs… Even In Toronto’s SEVERE Weather. Typical Vinyl Siding: Flimsy. Weak. Short Lifespan. Our Vinyl Siding: Strong. Heavy Duty. Lasts For LIFE. Let’s face it: Most vinyl siding is NOT made for Toronto weather. Ordinary vinyl siding warps, cracks, and buckles. Simply put, it’s a poor investment. Luckily, our vinyl siding is anything but ordinary. When deciding on what brand of siding to provide our customers, we wanted to have our cake and eat it, too. So we set out to find the most amazing siding on the market—a product that combined the value of vinyl with the durability of fibre cement or steel siding. 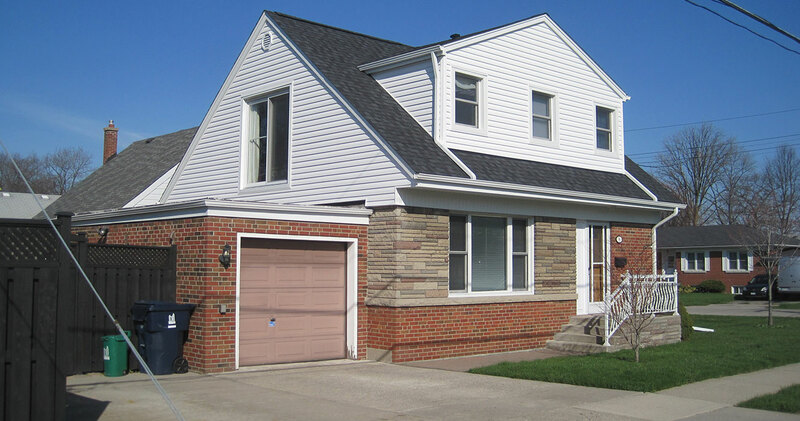 Basically, we wanted a brand of vinyl siding that looks great when it’s new… and stays that way forever. After researching dozens of brands, we found just two that meets these lofty requirements: Gentek Premium Vinyl Siding and Celect Cellular Exteriors by Royal. Gentek is the only vinyl siding that’s affordable, beautiful, durable… and engineered specifically for severe weather conditions. Extra-Thick Walls: Heavy-duty premium vinyl provides superior rigidity, ensuring straight, smooth walls that last for LIFE. Double-Strength Attachment: A full-roll Nailing helm doubles the strength of the wall attachment, so the siding remains firmly in place in even the harshest weather. Securely Locks Into Place: The exclusive Advantage Lock System securely connects panels, ensuring your siding remains ultra strong and never yields. Hurricane-Level Wind Resistance: In independent tests, Gentek vinyl siding withstood 407 km/h (253 mph) hurricane-level winds! Celect siding provides the beautiful appearance of wood… with NONE of the maintenance hassles. Celect siding also requires less maintenance than fibre cement and is just as durable. Interlocking Joints = No Seams: A special “no-seam” system gives Celect siding a consistently beautiful look. Built For Brutal Weather: Even the most severe Toronto conditions can’t crack Celect’s color-coating protection. Almost Zero Maintenance: Celect’s special cellular material means NO painting, NO caulking, and NO fading. It also repels hazardous mold and mildew. A Green Investment: Celect siding reduces your energy bills, insulates 70% better than wood, and has almost twice the R-value of fiber cement and wood. But strong materials are only half of the equation. To ensure your siding lasts for life, we use a set of hyper-strict installation methods with our special Walker Process. This includes fixing rotted wood, repairing structural issues, and waterproofing underneath your siding to ensure your project lasts. We can also add insulation to your siding to cut your energy costs and keep your home a comfortable temperature year round. So if you’re looking for beautiful siding that’s affordable, lasts for life, and is installed exactly right the first time, contact us today. We look forward to hearing from you! We install ultra-heavy-duty aluminum seamless eaves. Our eaves withstand the heaviest downpours, and zero seams mean zero leaks. If you need new, lifetime-lasting eaves with your siding, we would be happy to install them!